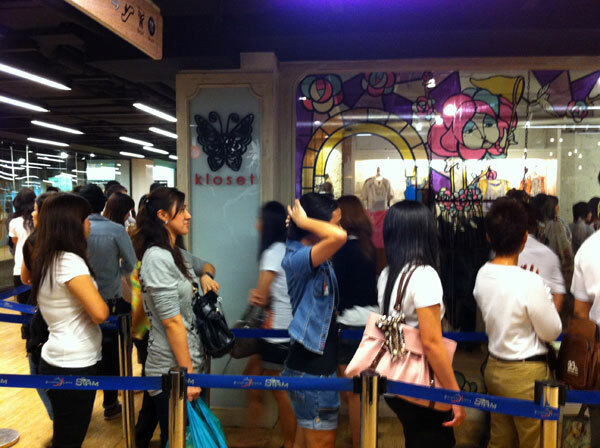 What’s happen at the Kloset? I have passed Kloset shop (http://klosetdesign.com) at Siam Center on last Saturday, Dec 4, 2010. I see a lot of people queueing in front of the shop! What happen? No any sale sign. They let around 10 people to go into the shop per round. I heard some teens who walk passed saying with laugh to his friends that “It seem they give free Krispy Kreme to the customers” 😀 (I feel like that too). 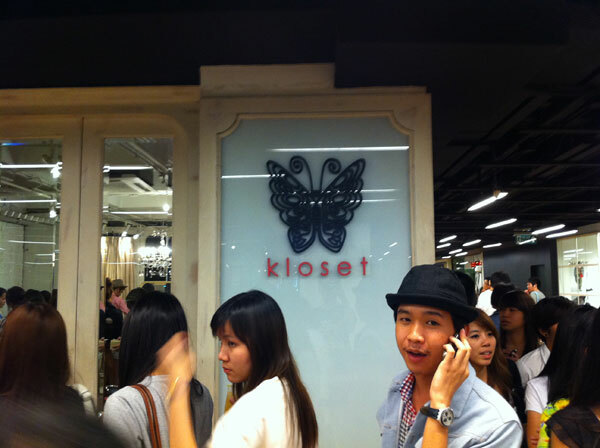 After I call one of my best friends, who should know this female clothes designer brand, I got some clues. I also ask from the shop staff. This is my conversation. Me: Excuse me, what happen in there? Is it a sales promotion? Staff: No, sir. Not a sales. It just our new design of the fabric. Me: O.o ! How cost of it, please? This is look like something almost every people buying, the shoulder cover fabric (?) click here. 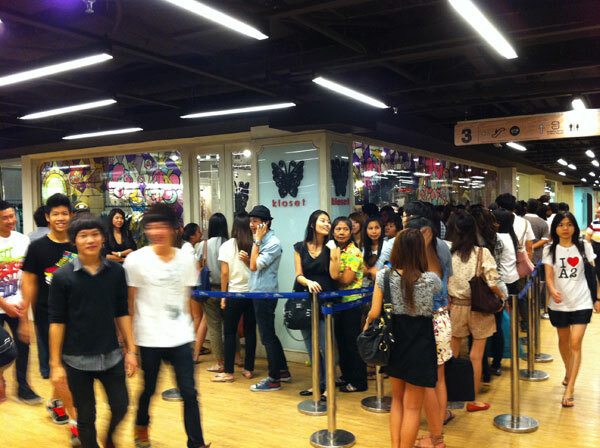 I think this is another success Thai designer brand who can bring people to queue up this much just to buy their products. A proof that not only iPhone4 (gadgets) and Krispy Kreme (food) can make this happen. 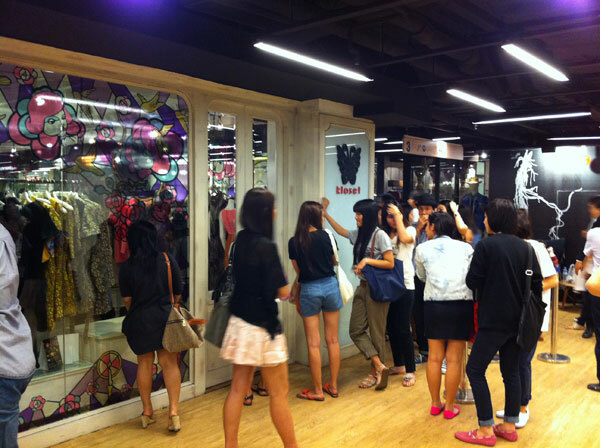 some of Thai nationality feeling (we love support Thai cool designer! ).